A perfect component for either a starter or main dish. Kim’s Food uses the finest tiger prawns covered with a light crispy batter. 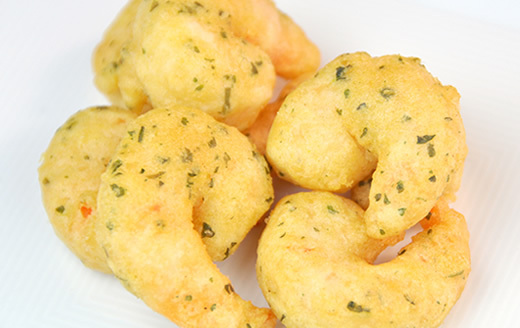 The battered prawns can be added with a range of herbs such as coriander, salt & pepper or chilli. A popular & versatile ingredient that can be tailored to your requirements.